The M&T Program recently relocated to temporary space while our permanent location at 3537 Locust Walk undergoes a tremendous renovation. We’re very excited to share three of the latest renderings! Detailed interior renderings will not be available until fixtures and furniture are finalized. More renderings to come as designs become finalized! Thank you to all who have helped us reach this amazing milestone within the M&T Program. The following email was sent to the entire M&T alumni community on December 16, 2014 from the M&T 35th Anniversary Planning Committee. If you have any comments or questions feel free to email Jaime Davis at djaime@wharton.upenn.edu. Honor the legacy of Dr. Hamilton as he is retiring in June of 2015. To honor him, we’ve established the Hamilton Fund. The fund has a goal of $2MM to qualify as a fully funded endowment per Penn standards. We are very close to full funding but we need your help to cross the finish line and reward Dr. Hamilton for his years of service with this enduring legacy in his name. Please donate now, at any level. Remember, any donation of $5,000 or more (as little as $1,000/year over five years) will receive individual recognition on the Wall of Support in the new M&T building. Select “Make a Pledge” and fill in the appropriate information (e.g. “$5,000, bill me annually for five years, etc.). The following email was sent to the entire M&T alumni community on December 10, 2014 from the M&T 35th Anniversary Planning Committee. If you have any comments or questions feel free to email Jaime Davis at djaime@wharton.upenn.edu. We are almost over the finish line. Three generous alumni, Ken Glass, Doug Alexander, and Roland Van der Meer have committed an additional $300,0o0 in funding to the M&T Program but only if 150 first-time ever donors to the M&T Program make donations before December 31st, 2014. We need less than 30 newcomers to reach this goal. Help us cross the finish line and tap into this additional $300,000 gift. Please donate ANY amount today. Don’t forget, any donation of $5,000 or more (as little as $1,000/year over five years) will receive individual recognition on the Wall of Support in the new building. Click here to fulfill your pledge of $5,000 or more: https://giving.apps.upenn.edu/giving/jsp/fast.do?program=WHA&fund=403033. Select “Make a Pledge” and fill in the appropriate information (e.g. $5,000, bill me annually for 5 years‚ etc.). 35th Anniversary Event: Announcing Kunal Bahl (M&T ’06) as Guest Speaker! Thinking about starting a company? 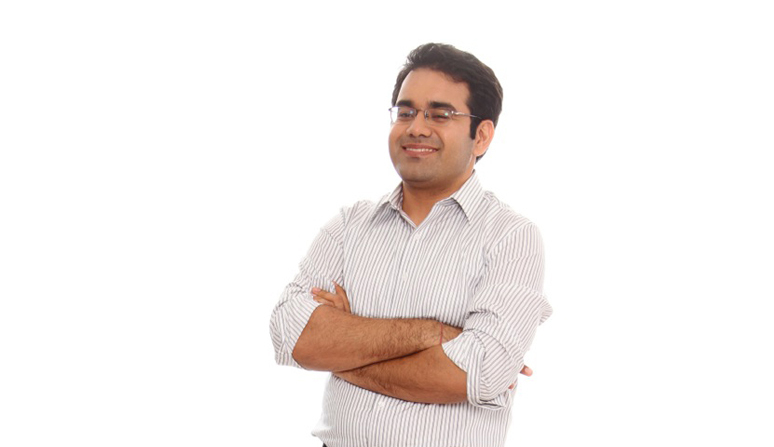 Who better to learn from than M&T alumnus Kunal Bahl (’06), co-founder and CEO of Snapdeal.com. We’re thrilled to announce that Kunal will be speaking during the M&T 35th’s lunch session on Saturday, November 8th about the journey an entrepreneur takes to set up a company. In February 2010 Kunal, along with Rohit Bansal, started Snapdeal.com, India’s largest online marketplace, with the mission to create life-changing experiences by connecting buyers to sellers of millions of products from thousands of national, international, and regional brands. With over 25 million members and 50,000 sellers, Snapdeal.com is the shopping destination for internet users across the country, delivering to 5,000+ cities and towns in India. In its journey until now, Snapdeal has partnered with several global marquee investors such as BlackRock, Temasek, eBay Inc., Premji Invest, Intel Capital, and Bessemer Venture Partners, among others. Kunal holds a Bachelor of Science in Economics from the Wharton School and a Bachelor of Applied Science from Penn Engineering. Kunal serves on Unilever’s Global Digital Advisory Board and the Board of Governors of the Indian Institute of Corporate Affairs. He is also featured on Fortune’s 2014 Global 40 Under 40 list at number 25. 35th Anniversary Event: Announcing Dr. Vijay Kumar as Guest Speaker! Printable robots, flying quadrotors, and micro aerial vehicles. These are some of the cutting-edge technologies you might learn about when chatting with Penn Engineering Professor Vijay Kumar. We are excited to announce that Vijay will be our final speaker at the 35th Anniversary celebration in November. Don’t miss it! 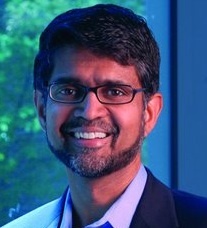 Vijay Kumar is the UPS Foundation Professor in the School of Engineering and Applied Science at the University of Pennsylvania. He received his Bachelors of Technology from the Indian Institute of Technology, Kanpur and his Ph.D. from The Ohio State University in 1987. He has been on the Faculty in the Department of Mechanical Engineering and Applied Mechanics with a secondary appointment in the Department of Computer and Information Science at the University of Pennsylvania since 1987. He was the Assistant Director for Robotics and Cyber Physical Systems at the White House Office of Science and Technology Policy from 2012-2014. Dr. Kumar served as the Deputy Dean for Research in the School of Engineering and Applied Science from 2000-2004. He directed the GRASP Laboratory, a multidisciplinary robotics and perception laboratory, from 1998-2004. He was the Chairman of the Department of Mechanical Engineering and Applied Mechanics from 2005-2008 and the Deputy Dean for Education in the School of Engineering and Applied Science from 2008-2012. Dr. Kumar is a Fellow of the American Society of Mechanical Engineers (2003), a Fellow of the Institution of Electrical and Electronic Engineers (2005) and a member of the National Academy of Engineering (2013). Dr. Kumar’s research interests are in robotics, specifically multi-robot systems, and micro aerial vehicles. He has served on the editorial boards of the IEEE Transactions on Robotics and Automation, IEEE Transactions on Automation Science and Engineering, ASME Journal of Mechanical Design, the ASME Journal of Mechanisms and Robotics and the Springer Tract in Advanced Robotics (STAR). He is the recipient of the 1991 National Science Foundation Presidential Young Investigator award, the 1996 Lindback Award for Distinguished Teaching (University of Pennsylvania), the 1997 Freudenstein Award for significant accomplishments in mechanisms and robotics, the 2012 ASME Mechanisms and Robotics Award, the 2012 IEEE Robotics and Automation Society Distinguished Service Award and a 2012 World Technology Network Award. He has won best paper awards at DARS 2002, ICRA 2004, ICRA 2011, RSS 2011, and RSS 2013, and has advised doctoral students who have won Best Student Paper Awards at ICRA 2008, RSS 2009, and DARS 2010. We look forward to his presentation during the 35th celebration! 35th Anniversary Event: Announcing Garrett Reisman as Alumni Keynote Speaker! There are no boundaries as to what you can do as M&T alumni…even the sky is not the limit! We are extremely excited to announce Garrett Reisman (M&T ’90) in our second speaker announcement for the 35th Anniversary celebration. Join us in November to hear about Garrett’s experience as a project manager for SpaceX and as a NASA astronaut. Garrett Reisman is responsible for working with NASA to prepare SpaceX’s Falcon 9 rocket and Dragon spacecraft to carry astronauts. He was the SpaceX project manager for CCDev2 – a $75 Million partnership with NASA to mature the Dragon Spacecraft launch abort system and crew accommodations. Reisman is now the SpaceX project manager for CCiCap – a $440 Million partnership with NASA to complete the design of the Dragon-Falcon 9 crew vehicle, perform hardware testing, ensure astronaut safety and pave the way for NASA certification of the vehicle. Reisman came to SpaceX from NASA where he served as an astronaut starting in 1998. 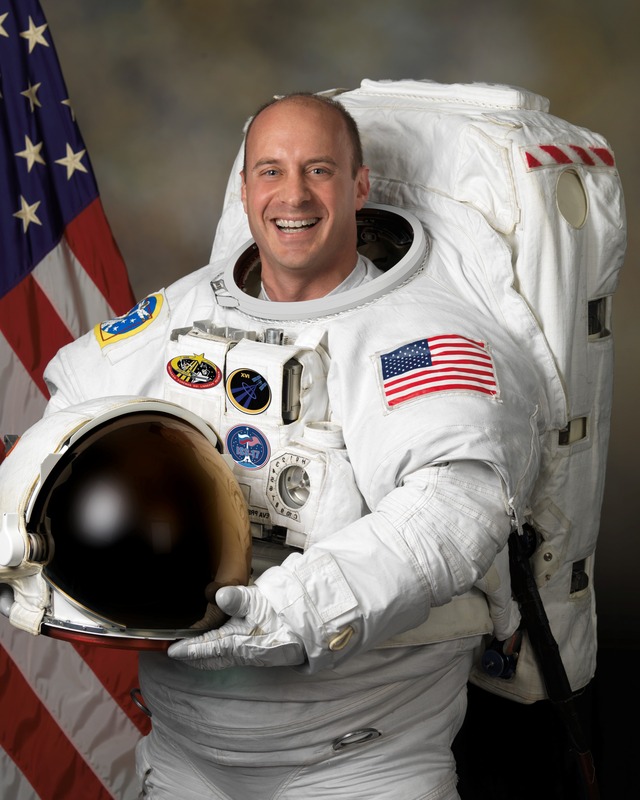 He has flown on two space shuttle missions, during which, he logged over three months in space including over 21 hours of extravehicular activity (EVA) in three spacewalks. Dr. Reisman served with both the Expedition-16 and the Expedition-17 crews as a Flight Engineer aboard the International Space Station. Reisman holds a B.S. in Economics and a B.S. in Mechanical Engineering and Applied Mechanics from the University of Pennsylvania, an M.S. in Mechanical Engineering from the California Institute of Technology, and a Ph.D. in Mechanical Engineering from the California Institute of Technology. He is an FAA Certified Flight Instructor. Noah Ready-Campbell (M&T ’10) is up to some exciting stuff with his company Twice. We chatted with him about his experience starting a company as an M&T alum! Tell us a bit about what you’re currently up to. I’m the co-founder and CEO of Twice (liketwice.com), a “hybrid marketplace” focused on secondhand fashion. We’re a hybrid between online retailers like Amazon and peer-to-peer marketplaces like eBay. Sellers send the inventory to our warehouse, and we buy it upfront. We then merchandise and sell the inventory directly to buyers. Our goal is to create a radically simpler process for sellers, and an “almost-new” shopping experience for buyers. How has the M&T program helped you start and raise funding for Twice? Two of our first angel investors were Ken Glass (M&T ’82) and Peter Kuperman (M&T ’96). In addition, IA Ventures led our Series A. Jesse Beyroutey (M&T ’11) is an associate there, and he provided the initial introduction to the firm. Overall, almost half of our investors have some Penn, Wharton or M&T connection. Did you get any inspiration / advice from other M&T alumni? Jeff Fluhr (M&T ’96) who founded StubHub and Spreecast, has been a big source of inspiration for me. I first met him at an M&T Brown Bag lunch when I was in college, and his story of StubHub helped convince me that I needed to start a company eventually. Unfortunately we haven’t gotten him to invest in Twice (yet!). What advice do you have for those M&Ts interested in launching their own startup? Find an incredible co-founder. I met my co-founder, Calvin Young, when we both worked at Google, and he’s our CTO. His expertise is what has let us build our website and our entire warehouse management system, and his hustle and determination have become a core part of our culture at Twice. I think both of us have found that we do better work together than we ever could alone. Why are you excited for the M&T 35th Anniversary celebration this November? To catch up with everyone. I always find that M&Ts are doing some incredible things, and it’s fascinating to learn more about them. Check out the M&T Program Blog! As the excitement for the 35th celebration builds with each new month, don’t forget to take the time to regularly check http://mandtforlife.com/, a blog published by the M&T community to promote awareness of the program and foster engagement between current students and alumni. Articles are posted to the blog multiple times a week. If you’d like to contribute, please email Jaime Davis at djaime@wharton.upenn.edu. 35th Anniversary Event: Announcing Wharton Professor Adam Grant as Speaker! We are thrilled to announce our first highly regarded speaker at the M&T 35th Anniversary Celebration this November: Wharton professor Adam Grant. Adam’s success as the youngest full professor at Wharton and author of the bestseller Give and Take is both impressive and inspiring. Please join us on Saturday, November 8th to hear all about Adam’s experiences! 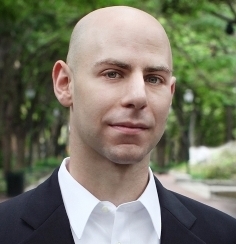 Adam Grant is Wharton’s youngest full professor and highest-rated teacher. He has been recognized as one of BusinessWeek’s favorite professors, one of the world’s 40 best business professors under 40, and one of Malcolm Gladwell’s favorite social science writers. His speaking and consulting clients include Google, the NFL, Merck, Pixar, Goldman Sachs, the United Nations, the World Economic Forum, and the U.S. Army and Navy. Adam is the author of Give and Take, a New York Times bestseller that has been translated into two dozen languages and named one of the best books of 2013 by Amazon, Apple, the Financial Times, and the Wall Street Journal-as well as one of Oprah’s riveting reads, Fortune’s must-read business books, Harvard Business Review’s ideas that shaped management, and the Washington Post’s books every leader should read. His research has been featured on the Today Show and in the New York Times magazine cover story, “Is giving the secret to getting ahead?” He received his B.A. from Harvard University and his Ph.D. in organizational psychology from the University of Michigan, and he is a former record-setting advertising director, junior Olympic springboard diver, and professional magician.